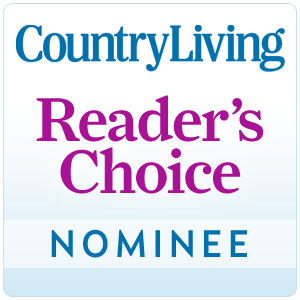 Today is the last day to vote for Country Living's Blue Ribbon Blogger Readers' Choice Awards. Go here to vote! The winners will be announced on the Country Living website tomorrow. THANKS! My readers are the best!! Frugal Friday goes live tonight at 8:00 pm MST as usual! See you then! Good luck! I'm a finalist, too!! Can't wait to see the results! I voted for ya! Good luck.